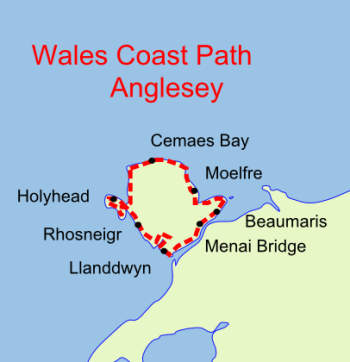 A walking holiday is the best way to discover the Anglesey coast with its network of paths and trails. 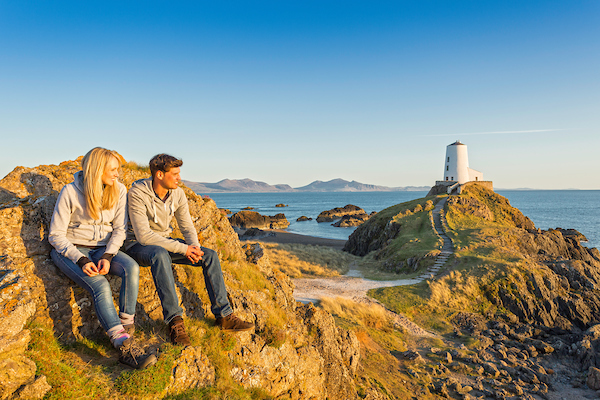 The Anglesey Coast Path, is one of the best kept secrets of North West Wales’ largest island, “Ynys Môn”, steeped in history, castles, lighthouses, Celtic trails, wildlife and natural beauty. Hike through breath-taking scenery and stay overnight in picturesque villages and towns. Anglesey’s diversity is legendary. If your interests include wildlife, geology, archaeology, historical sites or just beautiful blue flag beaches with Snowdonia and the Llŷn Peninsula as a backdrop, then Anglesey is the island for you. As one customer wrote in his testimonial. “I have found my paradise on Anglesey“. 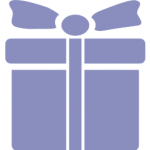 Wales Walking Holidays and sister company Anglesey Walking Holidays are based on the Isle of Anglesey, so you always have a contact and our back up if anything should go wrong. 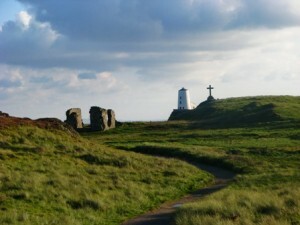 7 nights 6 days walking south to north Anglesey along the east coast. Day 1 Own arrival. Meet and greet, transfer to accommodation. 7 nights 6 days walking north to south Anglesey along the west coast. Day 5 Rhosneigr to Newborough Car Park (Malltraeth) 12.5 miles or Aberffraw to Newborough Main Beach Car park 12 miles. Day 1 Own arrival to Holyhead. Meet and greet and transfer to first night's accommodation. Day 2. Holyhead to Trearddur Bay 12 miles. Day 3. Trearddur Bay Circular 10 miles. Day 5. Aberffraw to Newborough (beach car park) 13 miles. Day 6. Newborough (beach) to Moel y Don 10.5 miles. Day 7. Moel y Don to Beaumaris 10.5 miles. Day 8. Transfer to station/car for departure. Whole island packages are also available incorporating different daily mileages. 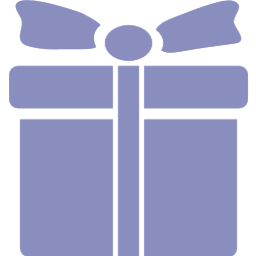 Click here to view all our other packages in other areas of Wales.